Last year Adele dominated the Grammy Awards like no female artist ever had, winning all six awards for which she was nominated, including Record, Song, and Album of the Year. Because of those wins, her album 21 and its singles are not eligible for the 2013 Grammys. But that’s not stopping her record company from submitting her music anyway! 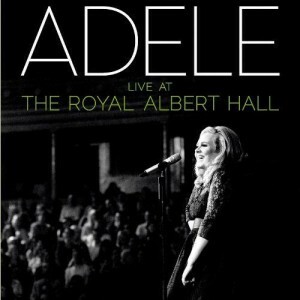 Her label decided to get around the rule by submitting a live version of “Set Fire to the Rain” from Adele’s concert album Live at the Royal Albert Hall. Submitting live tracks because studio versions aren’t eligible is not a new trick – it’s happened many times over the years. Train, for instance, won a Grammy for the live version of “Hey, Soul Sister” in 2011 because the studio version was released outside the eligibility window. So here we have “Set Fire to the Rain,” which was a legitimate smash hit in 2012, competing against studio tracks by four mega-selling superstars: Kelly Clarkson, Katy Perry, Rihanna and Carly Rae Jepsen. Let’s take these one by one. Katy Perry has been nominated for eight previous Grammys but has yet to win. Against this tough level of competition, Perry’s not ready to break that streak, even if “Wide Awake” was one of her better singles of the past three years. Rihanna has six Grammy wins to her credit, but all came from the Rap and Dance fields. The Pop field has never given her a win, and like Perry, RiRi won’t be able to win it this year. That leaves Adele, Kelly Clarkson, and Carly Rae Jepsen. Clarkson had something of a comeback with her Stronger album. She’s a two-time Grammy winner, and the Recording Academy would love to reward her again. But will she have enough support to outduel the reigning Grammy darling in Adele? And finally, despite the lightweight nature of “Call Me Maybe,” Jepsen is a legit dark horse here. Critics and fans all acknowledge that the song was incredibly catchy, despite its cheesy factor. That’s why it’s also nominated for Song of the Year. If Adele and Clarkson split the vote from earnest, serious voters, Jepsen could squeak in with votes from those who believe pop music is simply about fun. While Clarkson has a lot of Academy support, our prediction is that voters still love Adele and will reward her once again. “Set Fire to the Rain” takes the Grammy. See a list of every Best Female Pop Vocal Performance nominee and winner in Grammy history.